It seems Radical Zionists demanded for Macron gov to have this painted as anti-Semitism which is not a surprise. I hope you've done the right thing and reported them to the proper authorities. I used to report things like this to the mods but they don't do anything. I have had luck a few times however reporting people to the FBI - notice a few people missing? .... and he OUTTA THERE!! Way to keep those anti-Globalist in line. An International Alliance shaping our society from their own positive points of view can only be seen as a benefit from our perspective. There is a particular member on this board that I know for a fact talks to Russia, but the FBI can't figure out if that's a crime or not. They said they'd get back to me on that. You mean the one who's always trying to teach us Russian so we can all talk to Putin? Yeah, they're all over that situation. and of course Netanyoohoo was in Moscow..
Last edited by goldenequity; 02-28-2019 at 07:10 AM. "India was Israel’s largest arms client in 2017, paying £530m for Israeli air defence, radar systems and ammunition, including air-to-ground missiles"
it is difficult to see how Zionist nationalism will not leach into Hindu nationalism when Israel is supplying so many weapons to India – the latest of which India, which has enjoyed diplomatic relations with Israel since 1992, has already used against Islamists inside Pakistan. Last edited by goldenequity; 02-28-2019 at 09:26 AM. We've had a couple of those Undesirables around here. Glad you're on the case. It's official policy now. an appointed Czar to oversee/enforce. Last edited by goldenequity; 04-12-2019 at 10:10 AM. 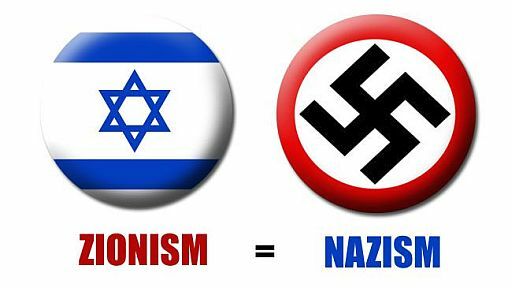 I see absolutely no difference between German Nazis and Zionists. It is a Mirror image comparison. Last edited by pcosmar; 04-12-2019 at 11:59 AM. Fat Mike and the Death Walrus are in full agreement. This is just MORE of the same top down recklessness that can and will incite brainwashed or dim-witted administration cultists, fundamentalists and zionists. perfectly willing to scapegoat Omar over the thugs from the Saudistan? Over the country that is indisputably responsible for 9/11? Together with Bush and criminal PNAC cabal? treacherous hands on the pillars of the republic. severe storm warning in effect. Last edited by goldenequity; 04-12-2019 at 07:11 PM.